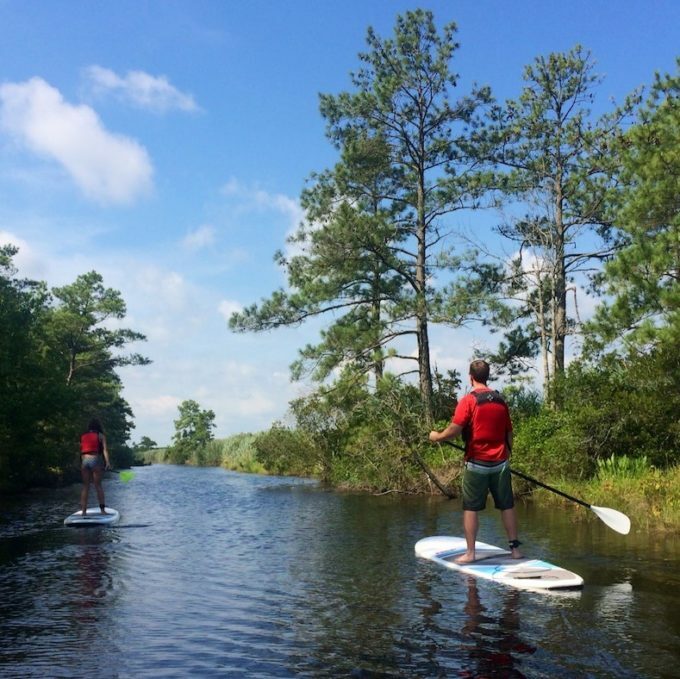 Come standup paddleboard with our Surf & Adventure guides. Beginners are welcome for our Back Bay flat water tours; a brief instruction will be given as needed. Our ocean tours require experience. You can book your tour as an individual or with a group. Our tours last 2 hours. We maintain a 4:1 ratio, that is 4 paddlers to every 1 instructor with all lessons and tours. Ocean tours launch from Little Island Park. Flat water tours launch from our private dock behind the shop. You can book your tour as an individual or with a group. Ages 12+.